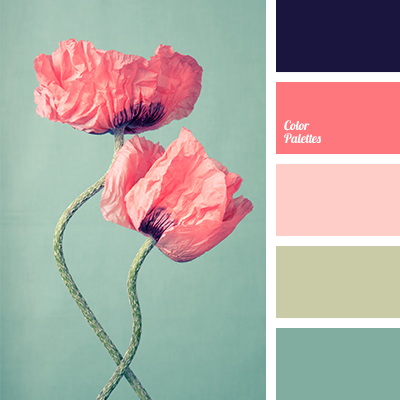 Pretty palette which emanates spring and freshness. 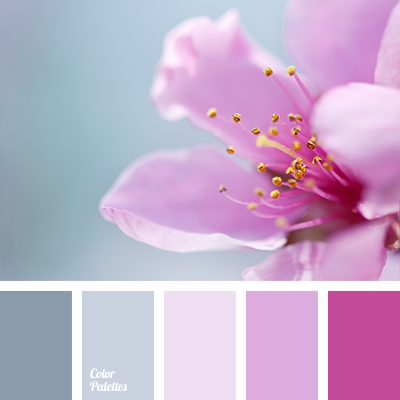 Light, weightless shades of pink give airiness and lightness. 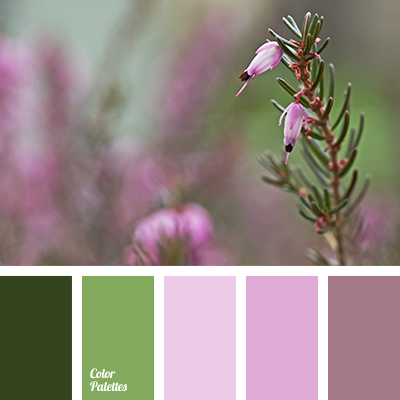 Light green brings peace and dark green – confidence. 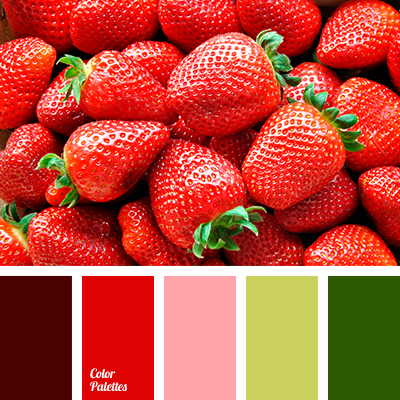 Such a lovely combination of colors will be good for the girls with “Summer” and “Spring” color types. In the design of a house this range is suitable for the decor of a room – pillows, curtains, tableware, home furnishings. 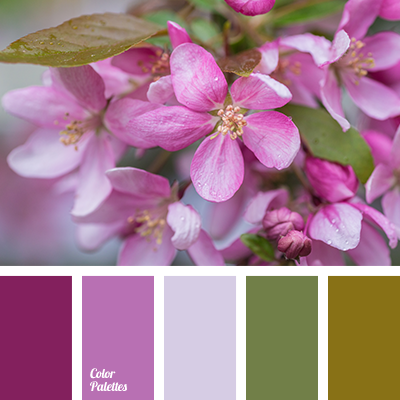 "dusty" lilac, "dusty" pink, color of spruce, dark green, gentle color solution, gentle pastel shades, light green, light pink, selection of color, selection of color solution, shades of lilac, shades of pink.